Popcorn ceiling removal is rapidly becoming the way to reshape the look of the inside of your home. It looks fairly easy, yet can be quite difficult, extremely messy and really should be done by a professional contractor. We at Master Painters are professional contractors that love to get in to your home and completely transform it according to your dreams. When you hire us, you are hiring the best Jupiter has to offer. We do this with as little hassle to you as humanly possible. We will move the necessary furniture and cover everything to ensure nothing of yours gets damaged. As the premiere Jupiter Popcorn Ceiling Removal Contractor, we are equipped to handle any hazards that appear such as asbestos. And a little known fact: The textured ceiling in your home can also contain lead. It is best to leave this kind of job to the pros. 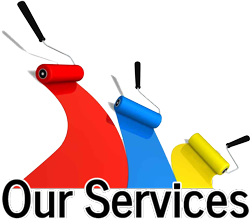 Our skilled experts can not only handle any job that you may have for your home or office, but they will also provide you with other related services to ensure your entire home is in top shape. Master Painters can and will tackle all of your popcorn ceiling removal needs – large or small. We are experienced in the necessary techniques and skills needed to properly remove your old popcorn ceiling without damaging it. We have the years of experience and the know-how to deliver beautiful, quality results. If you are looking for a Jupiter Popcorn Ceiling Removal Contractor then please call (561) 252-0818 or complete our online request form.